An honour roll commemorates those who served in World War One. 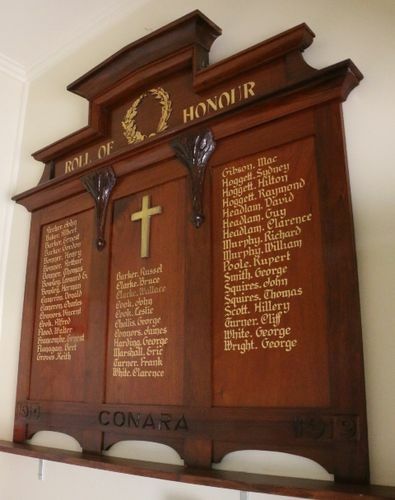 This honour roll was originally located in the Christ Church at 136 Conara Road, Conara. The church at Conara has been sold and is now a private residence.